To book an event, check Calendar above to see which slots are available. 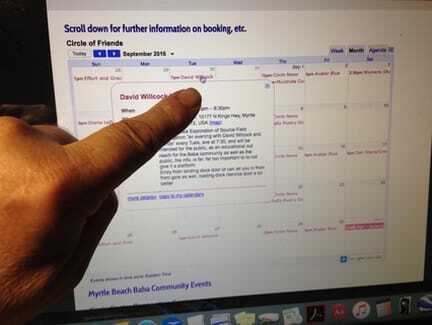 Then click on the button to fill out and send a reservation form online. OR you can download a form and fill it out, then either scan or photograph it and email to Jeff Stearns as below OR snail mail it to: AMBCOF, POB 1234, N. Myrtle Beach, SC, 29598 For questions re booking an event at the Circle Center, contact Jeff Stearns at jstearns@sccoast.net or call 843-902-0624. Please allow a week or 2 (for snail mail) to process your form.